Accelerating into the future of retail. 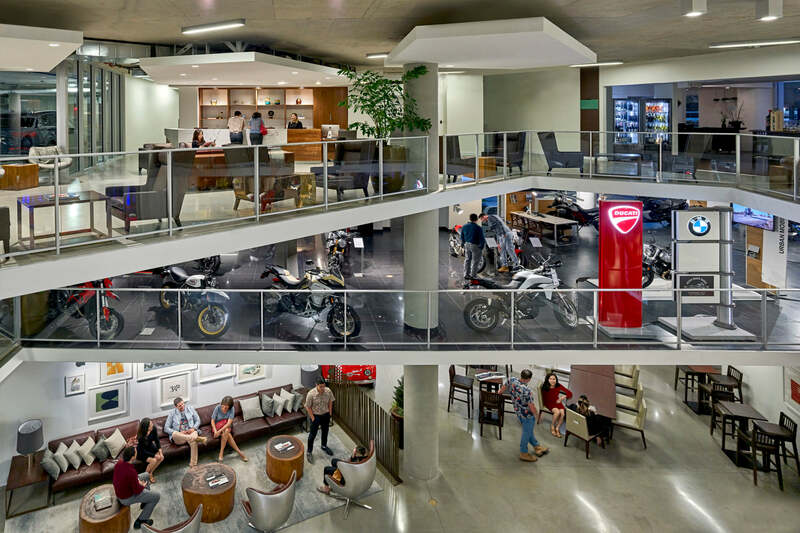 JN Velocity is a high-end, luxury motorsport showroom, dining facility, and service center within the podium of the luxury residential condominium, Symphony Honolulu. 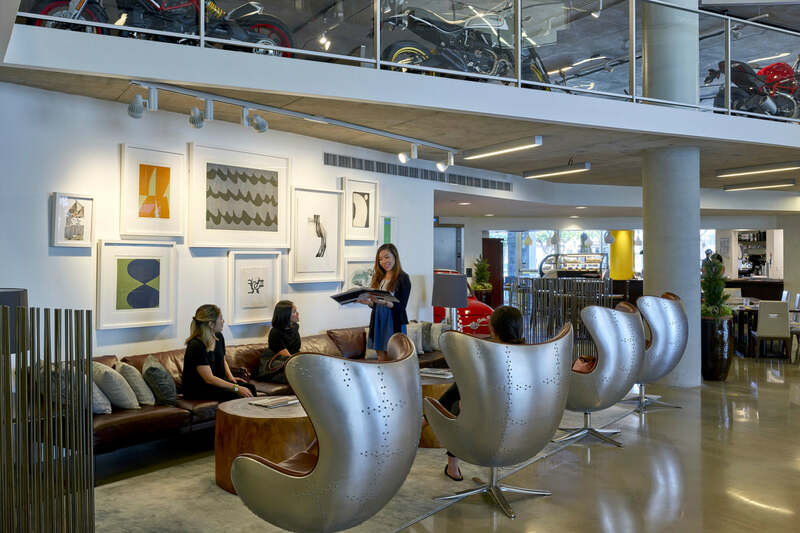 A public space for community gatherings, Italian heritage, custom European cars -- these were the drivers behind the Velocity owner's desire for a piazza in his urban showroom. 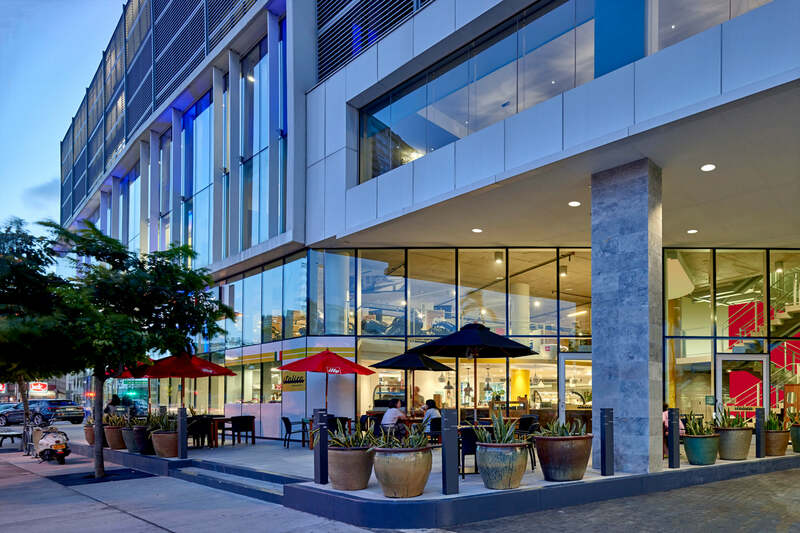 Envisioned as a space for art, fashion, jewelry, and music events, the piazza's old world courtyard charm blends easily with the building’s high-tech contemporary design. Floating ceiling panels give the illusion of clouds, drawing the eye to intricately angled views that provide provocative peeks into individual displays and showrooms. 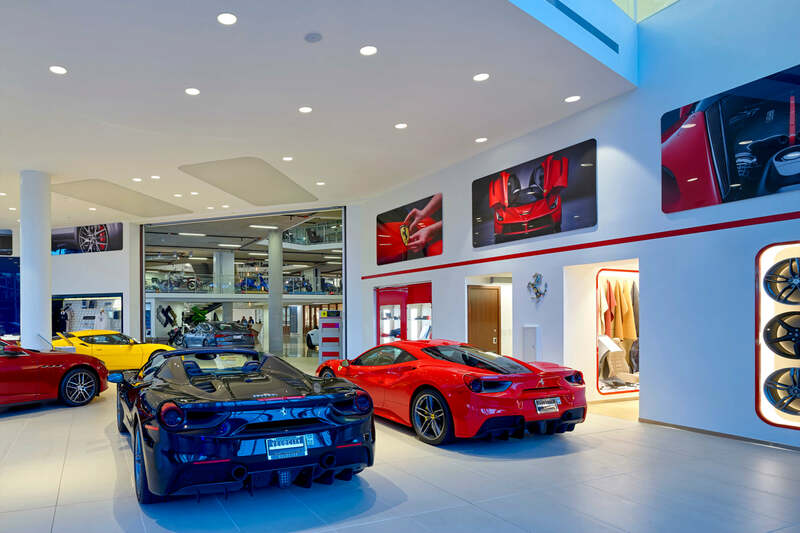 The design of this world class exotic car showroom, featuring brands like Audi, Ferrari, and Maserati, invites customers and window shoppers alike to appreciate and view these high-end motorsport vehicles. The third level features a revolutionary glass floor which offers a unique display of the exotic cars from floors below and at pedestrian street level. The service center features 30+ service bays, offices, break room, showers, and locker rooms. The showroom also features a café on the ground floor, and an Italian restaurant on the second floor.